hanging basket or shelf. It has green leaves variegated with stunning golden-yellow. Mature plants may produce spathes of green-white flowers. 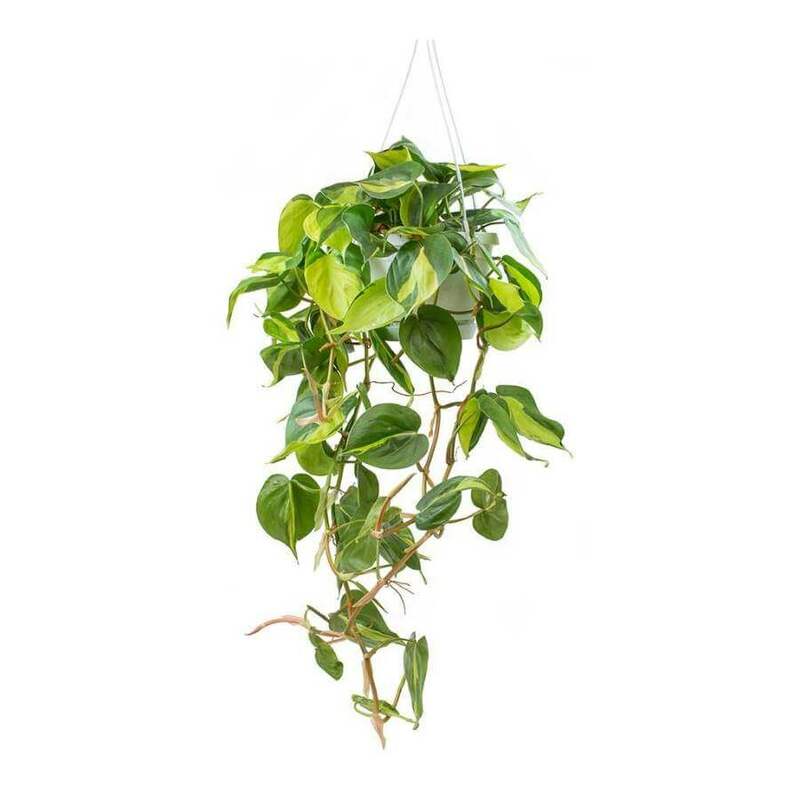 Philodendron scandens Brasil filter airborne toxins such as formaldehyde, benzene, and trichloroethylene from the environment. Brasil philodendron plants are poisonous. Keep plants away from children and pets. 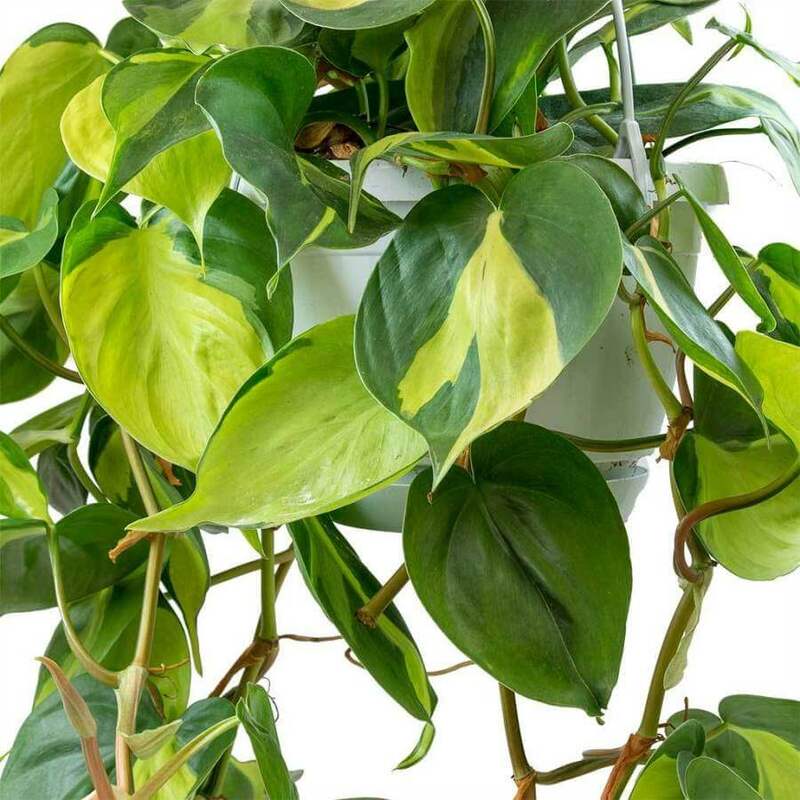 Common Names: Brasil philodendron, Heartleaf Philodendron, sweetheart plant. It thrives best in bright indirect sunlight. Never put your philodendron plant in direct sun. Also, it can survive in low light conditions. It grows well in a well-drained sandy soil. A mix of 2 parts peat and 1 part perlite and maybe a bit of added sand is a good choice. It prefers an average room temperature of 60 degrees Fahrenheit – 75 degree Fahrenheit / 16degree Celsius – 24 degree Celsius. reduce watering and only water the plant when the top inch soil to dry out between watering. Fertilize monthly spring through fall with a balanced liquid fertilizer diluted by half. It can be easily propagated stem tip cuttings. Take stem tip cuttings in spring or early summer. It roots easily when the stem placed in water or moist soil. Tolerant of dry air, but likes humidity. Mist foliage occasionally. Brown leaf tips are a side effect of dry air. There is no serious pest or disease problems. The plant can be attacked by pests such as scale insects.